The big Scottish Gin provenance debate has been ongoing for some time now, grabbing headlines and ruffling feathers within the Scottish Gin industry. The news has primarily focused on the negatives, but what about the brands that are transparent and open about the challenges they have faced and their route to achieving their dream? Building any distillery from the ground up, is no easy feat. We’ve been to all types of distilleries, from the large and established, making whisky and other spirits, to ones that are tucked away in unassuming buildings, with just 1 or 2 staff and learned about the challenges involved. So, setting up a gin business on a remote island with no real infrastructure multiplies the challenges, with reliance on good weather for ferry crossings, broadband availability, or the lack of specialised tradespeople to the list. We have been following the journey of some brands who have taken the decision to contract distil south of the border due to the unique challenges faced by island life. The great news is that in 2019, they are moving production to their island communities, building distilleries, creating jobs, boosting tourism and bringing their gin home. 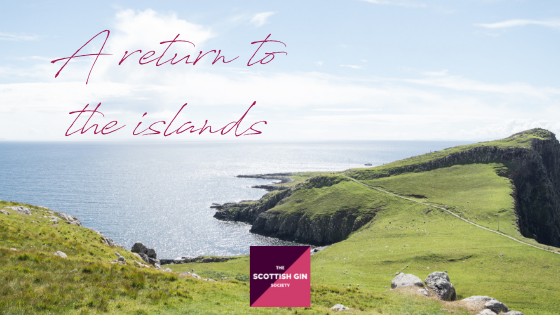 Colonsay Beverages produce Wild Island Botanic Gin, and they now have a range of island distilled products, Distiller’s Cut. 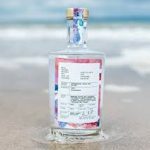 This year, they’re set to release their first nationally-available island-distilled product into the UK and overseas markets. They are currently operating a 250l still as well as a second mini still for recipe development and have 5 employees in Scotland and will be looking to add more distilling expertise on site at the Wild Island Distillery this year. “Surely it’s no coincidence that some of the most well-known brands being contract distilled elsewhere are based on small islands in the Hebrides? 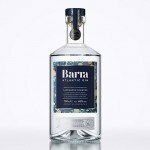 Barra Atlantic Gin was the dream of Kate and Michael Morrison and, seeking to make their dream a reality, they teamed up with a London distiller to launch the product onto the market. Created using Carrageen Seaweed as its main botanical, collected from the shores of The Isle of Barra, the gin launched in August 2017. Since launch, the gin has been listed in exclusive venues such as The Kitchin, Edinburgh, luxury cruise ship The Hebridean Princess and Brian Maule at Chardon d’Or. The team have negotiated export deals to Denmark and Germany; and featured at London Fashion Week. They now plan to bring the production of the gin home to the Isle of Barra, with distilling starting there as soon as February 2019. 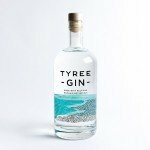 Tiree Whisky Company Ltd – founded by locals Alain Campbell and Ian Smith, are the brand owners of Tyree Gin, which has an unique flavour achieved through six botanicals: Eyebright, Ladies Bedstraw, Water Mint and Angelica locally-foraged from the island’s rich and fertile machair ground together with Kelp and Sea-Belt from the Atlantic Ocean. Both Ian and Alain decided to pursue the business venture after researching the island’s rich distilling heritage. “In the eighteenth century, Tiree was home to around fifty distillers with each farm on the island operating at least one still producing whisky”, said Ian. Eighteen months of contract distilling in London by Thames Distillers Ltd helped fund the renovation of an industrial shed in West Hynish in the southwest of the island and a 250-litre G-Still was installed there in late 2018, with full production starting early February 2019. “We have had a great deal of support from the local community and we hope that this venture will help the development of the island both socially and economically by stimulating local employment and encouraging new visitors to the island.” Said Alain. As the company name suggests, gin is not the only product that they hope to produce. Tiree Whisky Company plans to research the possibility of establishing a whisky distillery on the island and with that put the Isle of Tiree firmly back on the Island Whisky Trail and launched into the worldwide Scotch Whisky Industry. Whitetail Spirits Limited was founded by Jamie Munro and his family is the brand owner of Whitetail Gin. 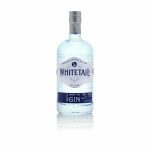 The gin is named after the White-tailed Eagle which is synonymous with their family home at Tiroran on the Isle of Mull. Whitetail is currently distilled by Charles Maxwell at Thames Distillers in London, but the long-term ambition has always been to bring production and distilling back to their home at Tiroran on the island. Just 17 months on from selling its very first bottle, Whitetail Gin is now available in Co-Op stores throughout Scotland, Selfridges and House of Bruar among many others. 2019 really is the year that Hebridean Gin returns to the islands. These gin producers have been upfront and transparent about their provenance, their plans and where they distil their products. While there are undoubtedly still some gin brands out there who are less transparent about their provenance, we understand that for many, contract distilling is a simple business decision, while the ultimate goal is to set up distilleries that will bring employment, tourism and pride to the local communities. We will be bringing you future features on these and other gin brands, the challenges they’re facing, the plans they’re making and their progress in building and opening their island distilleries.